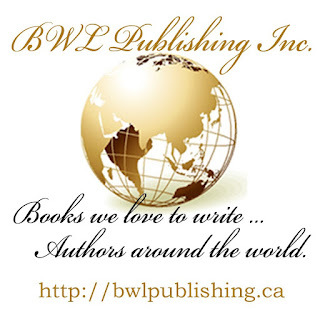 Books We Love Insider Blog: Why Host a Book Launch? Why Host a Book Launch? Click this link for book and purchase information. 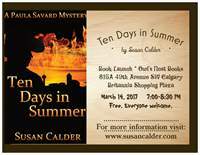 Last fall a writer friend asked me, "Is it worthwhile having a book launch?" I immediately answered, "Yes." 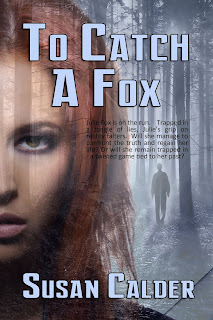 I'd hosted launches for my first two novels and planned to have one for my third release, To Catch a Fox. But my friend's question prompted me to ask myself: what is the value of a bookstore launch in this age of e-books and online sales? So here are my Top Five reasons for hosting a book launch. 1. It is a gracious way to tell people about my new novel. Instead of a Facebook or email notice with a link to a sales site, I am inviting them to a launch party. Some will feel pleased that I included them in my special event. Most won't come to the launch, but they'll have enough details to buy the book online or at their favourite book store if they want, without my asking them to do it. I'd recommend inviting everyone you come in contact with to your launch. I've given invitations to people in my gym class I'd barely spoken to before. "You're a writer?" some asked, intrigued. It started conversations and led to closer connections because I'd shared something personal about myself. 2. If you invite them, many will come. My first book launch drew close to 100 people, my second about 85. A fair number bought copies of the book. Admittedly my novels were both long awaited releases. I'd worked on the first book for years before finishing it and finding a publisher; the second wasn't published until 6 years later. Now with only a two year gap between my second and third launches, I don't expect friends and relatives to be as strongly supportive. But I'm hoping that newer friends and--dare I say it--fans will make up for some attrition and pack the room. 3. Local media is more inclined to focus on an event the public can attend than on a book release. 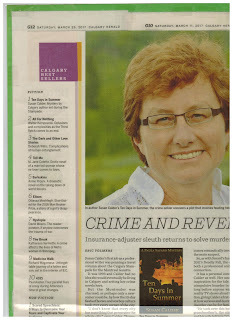 The entertainment editor of my daily newspaper, the Calgary Herald, profiles an author most weeks. When he chooses a local writer, it's almost always someone with an upcoming book launch or major reading. He schedules the piece for the week leading up to the event. Other local print media, radio and television might be similarly event-focused. It's hard to get your books into any media, but a launch gives you a better chance. 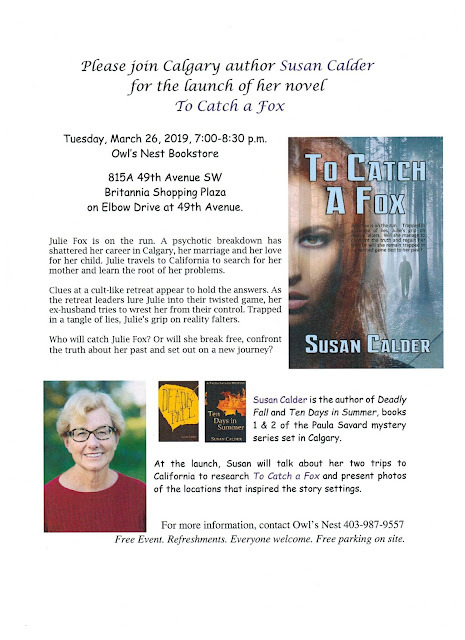 Independent bookstores also focus on events to draw customers and are likely to display your books and the launch announcement in the store window during the week leading up to the launch. 4. You might make your newspaper's local bestsellers' list. 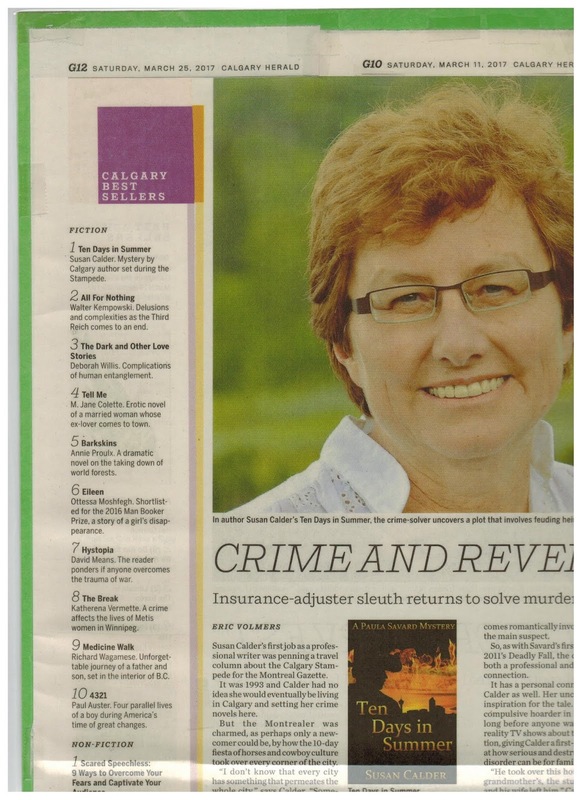 In its Saturday edition, the Calgary Herald publishes a local bestsellers' list, now called Book List. The tiny print at the bottom states the list is complied by information provided by Calgary's two or three independent book stores. Sales at these stores are so sadly low that any book that sells decently at a launch is almost guaranteed a spot on the Book List. Many newspaper readers look at the list for ideas of what to read. I know of other city newspapers that have this feature. It's worth checking out. 5. And lastly, a launch is a celebration. 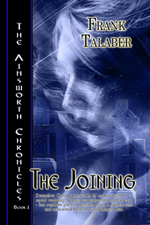 You've worked hard on this book and deserve a party with family, friends and your devoted readers. Many venues are free or inexpensive. Food and drink might set you back $50-75, but aren't you, your book and your supporters worth it! Would be great to live where there is a book store, other than the big ones who don't offer time or space for new releases. Glad you are able to have release days. Keep writing. If you felt it was worth it, you could hold a launch at a local café. But you'd lose the benefits of having a bookseller on board. Thanks for reading and commenting, Janet. Thanks so much for an inspiring example. I am fortunate to live in a town with a supportive independent bookseller and will follow your wonderful example come April. Best of luck with To Catch a Fox and may your sharing kindness come back to you a hundredfold, Susan!